Andy Barber's job is to put killers behind bars. 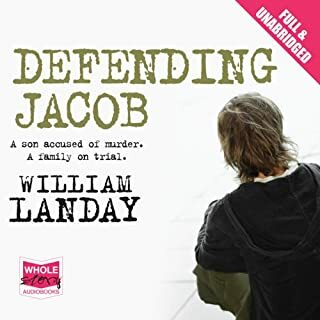 So when a boy from his son Jacob's school is found stabbed to death, Andy is doubly determined to find and prosecute the perpetrator. Until a crucial piece of evidence turns up linking Jacob to the murder. 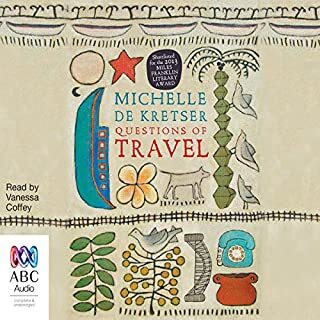 A dazzling, compassionate and deeply moving audiobook from one of world literature's rising stars. A mesmerising literary novel, Questions of Travel charts two very different lives. 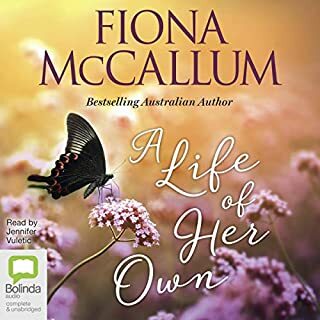 Laura travels the world before returning to Sydney, where she works for a publisher of travel guides. Ravi dreams of being a tourist until he is driven from Sri Lanka by devastating events. Around these two superbly drawn characters, a double narrative assembles an enthralling array of people, places and stories. Winner of the Orange Prize for Fiction, 2005. Kevin Khatchadourian killed several of his fellow high school students, a cafeteria worker, and a teacher, shortly before his 16th birthday. He is visited in prison by his mother, Eva, who narrates in a series of letters to her estranged husband, Franklin, the story of Kevin's upbringing. A successsful career woman, Eva is reluctant to forgo her independence and the life she shares with Franklin to become a mother. Once Kevin is born, she experiences extreme alienation and dislike of Kevin as he grows up to become a spiteful and cruel child. When Kevin commits his murderous act, Eva fears that her own shortcomings may have shaped what her son has become. But how much is she to blame? I have the paperback at home and have picked it up numerous times over the last couple of years but have never been able to get past the first chapter. 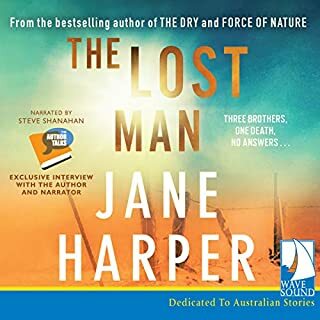 Thank goodness for the Audio-book and the wonderful narration, this had me hooked and I couldn't stop listening. Such a dark tale and so many emotions came up when listening, kind of made me frightened to have children! This book is such a difficult read in written form as it's all letters, and I really dislike reading that style of writing... The audio-book made it such a breeze to listen to. The narrator reading the letters as the main character seemed so much easier than reading them myself and feeling like an outsider reading someone elses personal letters.. Not sure if that makes sense? Anyway, well worth a listen, especially if you've attempted to read this in the past - you won't be disappointed. Raises a lot of interesting questions and thoughts in regards to parenting. I also found that, for me as a high school teacher, it really had me making connections to my own life and having some interesting discussions with colleagues. 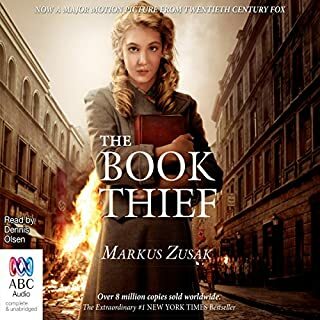 Due to the format of the novel, being written as a series of letters, its translates seamlessly as an audiobook and was an enjoyable experience. Highly reccommend. Very well told and thought provoking. The narrative was well put together and the readers performance was excellent. This book was excellent. The story, the narrator and the emotional roller coaster ride was superb. This is an absolutely addictive read. 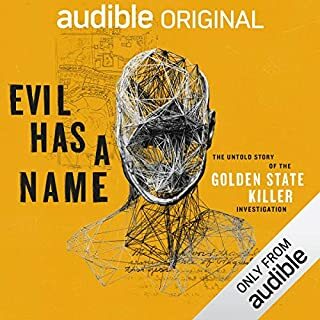 The book itself is well written and the audio performance is incredibly engaging. Highly recommended. What did you like most about We Need to Talk About Kevin? I loved this book. I was intrigued by how Shriver captured the nuanced personality of the mother Eva, and I think she captured the personality of Kevin really well. King's reading was excellent, with subtle undertones of sorrow that made the complexity of the characters so vivid. My only criticism is that I found the marriage between Eva and Franklin a bit implausible - it was hard to identify any of his redeeming qualities. This book was recommended to me several years ago and with a long haul flight ahead of me I took the opportunity to see if We need to Talk About Kevin lived up to expectations. I was not disappointed. 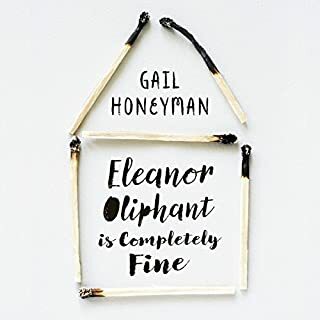 An emotionally hard read as a mother, exposing the universality of the experience of mothers - no matter what kind of a child you have the bond is always there. The choice of point of view was instrumental in evoking emotion and shock in the reader at every turn with the final chapters leaving such an impact that I could not stop thinking about the tragic tale for days. The characters are well-developed and relatable and the narrative unfolds through the correspondence from Kevin's mother to his father which is unique in itself. If we want to build tolerance and understanding in our world and appreciate that the victims of horrific events are not always the most obvious then everyone should read We need to Talk about Kevin. 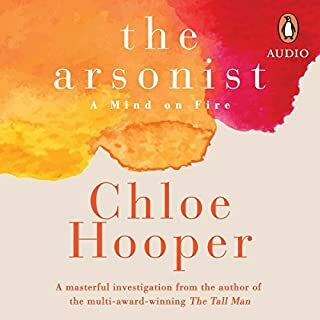 Have tried reading this book, but thanks to audible made it easier. Paperback on table. This was a very well written book that led the reader to an unexpected climax. The story, although difficult to listen to at times, was well worth writing and reading. It is a story attempting to bring forth underlying factors leading to contemporary but incomprehensible issues that are appearing in the news at regular intervals. what a pity it was abridged! What made the experience of listening to We Need to Talk About Kevin the most enjoyable? I bought this book by mistake. Had I realised I was going to listen to an abridged version, I'd have thought twice before downlaoding it. 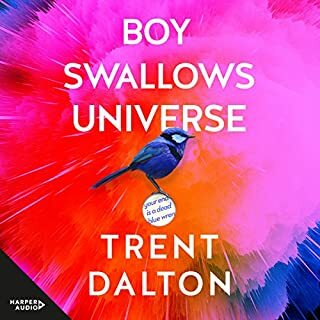 Anyway, I also read the complete book on my kindle device and I must say that the audible version doesn't do justice to this amazing novel. The performance is excellent, but a lot of the characters' depth and complexity goes lost. I hope Audible realise how important it'd be to give listeners the full version and bring it out soon. 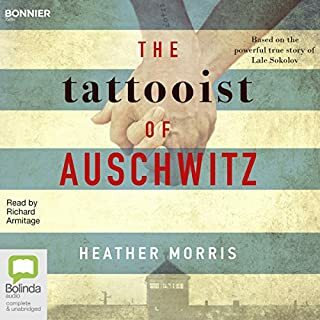 So my advice is, don't listen to this abridged edition, but do read the full novel, it's really worth it, however gruesome, cruel and shocking it may be. Great story, with a great performance. Story at times is a bit harsh. You see parts of yourself in the characters, could Kevin be your boy? Are you the doting dad or the detached mother. Not all in life is NICE..
Great writing talent but the story was a bit too strong for me. I found it distressing which I am not sure was the intention of the author. Well; I was forced to read this book for an assignment in child psycho diagnostic class. I loved it. I liked first of all the entire setting and how the book makes you experience what is happening. If you are psychology student or thinking of working with kids, this is a good book that questions nature vs nurture. 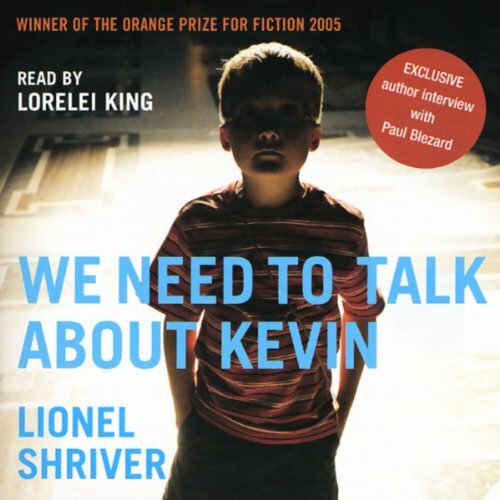 Would you consider the audio edition of We Need to Talk About Kevin to be better than the print version? Yes, it was even better than the movie. When Kevin did his nuh-nuh-na-na-nuh response to his mother. Ms King portrayed it so perfectly, capturing the arrogance, spite and disdain in the child's voice in a way that chilled the listener. If you could sum up We Need to Talk About Kevin in three words, what would they be? What was one of the most memorable moments of We Need to Talk About Kevin? I was disappointed with this book, I found it was really of no interest to me yet was looking forward to it. What disappointed you about We Need to Talk About Kevin? What could Lionel Shriver have done to make this a more enjoyable book for you? I feel that the father character had little depth, The book is written from the perspective of the mother, in letter form to the father. His voice is less than missing. His or even the boys voice could make the book more interesting, more balanced. It may even give an insight into the fathers ambivalence, bordering on ineptitude to the boys psychopathic tendencies. Marvellous voice acting, very well done. Well, it really made me mad, physically sick, horrified. It changed my mind as to the passive nature of books, and I will be more careful, from now on as to what I read, for this is now part of me, a cancer to be continually excised. Some say to me that makes it a good book. I disagree, Yes I had an extreme reaction, but that does not make it positive in any form. I now have to live with the burden of reading this tripe. Go see the movie, if you want a shock. Don’t read the book. Its just for shock or to confirm already held, rather conservative beliefs about the physical pain of childbirth and the possibility of stuffing up as a parent. Ahhh. Cant wait to get onto the next audio, Possibly J.M.Coetzee, now thats a good writer. This is a compelling and thought provoking read, I found it a little disturbing but I couldnt put it down. It is beautifully written - download now! I resisted reading this book for a long time. I thought that it would be more difficult to stop it as an audiobook. I was really engrossed. I found it a very powerful story made even more powerful by one of the best readers I have ever heard. Lorelei King is magnificent in every book I have heard. I've already read this book twice, but when I saw that Lorei King was the narrator on this - I had to have it. I wasn't disappointed. 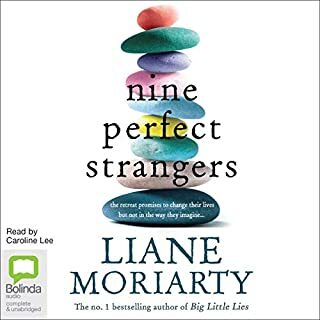 The story itself is riveting, an unusual and maybe difficult subject for some as it is in part about a parents honesty of their dislike of their child. The narration, which I think is actually acting, makes it even more believable and enjoyable. I love the way this is written, it keeps you enthralled. It is also very well read. 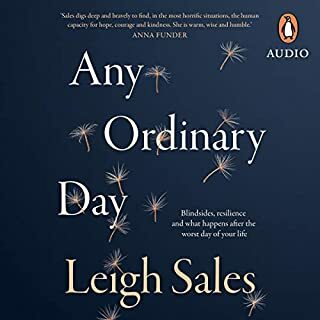 A thought provoking and striking book- one which disturbed and fascinated me, and kept me thinking back to it long after it finished. Well worth a listen! 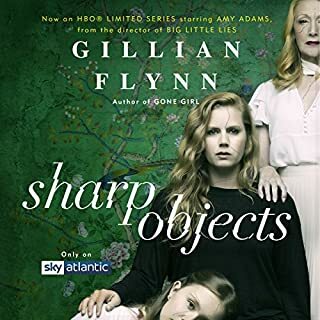 i loved it, it was disturbing and amazing, some of it made me flinch it was so disturbing and sad, very, very thoughtprovoking. its a lot to take in, and really takes the nature/nurture debate to the next level. i would highly recommend this book to all. 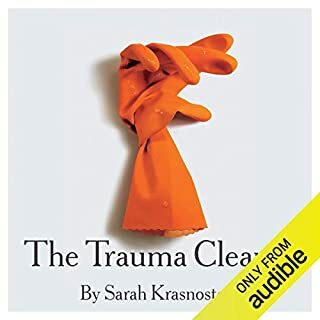 This is one of the most disturbing but engrossing audio books I've listened to and I had to constantly remind myself that this was actually a work of fiction! I'll be honest, I was quite reticent about getting this after all the reviews I'd read/heard as there seemed to be 2 distinct camps who either loved it or hated it. 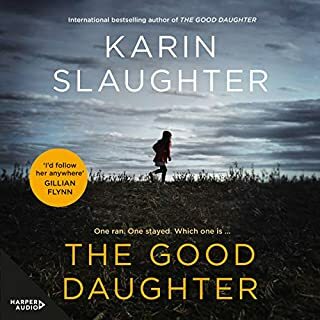 I haven't watched the movie that is based on the book so after a lot of trepidation I bought the Audible version and listened to it whilst on holiday. All I can say is WOW,WOW,WOW! I felt a range of emotions whilst reading it, pity, sorrow, anger, disbelief etc. 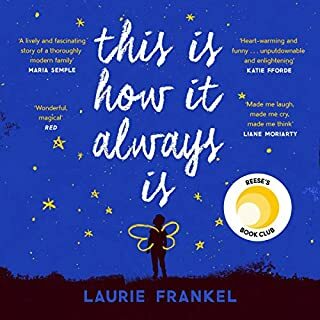 for all of the main characters Eva, Franklin and Kevin who to all intents and purposes was the most awful child ever born - I won't give it away - listen/read the book and come to your own conclusions. Really good read. You are either going to love it or hate it - I'm in the love it camp! 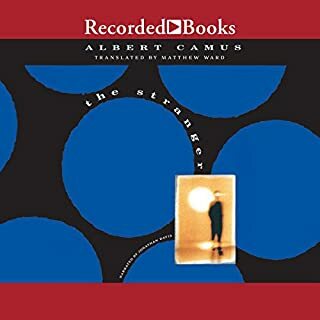 I found this audiobook a profoundly disturbing experience. It is brilliantly written and beautifully narrated, but it could put you off having kids. What do you do if your child is a psychopath? This book charts the dread, shame and heartache of being just such a parent. A mothers place is in the wrong it seems. I found this book unremittingly dark. If you have the stomach for it, it is a brilliant book, but it did nothing for my faith in human nature. The final "bonus" chapter is an excellent interview with the Lionel Shriver - she has no kids! This is such a good book, well paced and it unravels some surprises as it goes along culminating a shocking end to 'Thursday'. Further more, I'm a great fan of Lorelei King who manages to characterise the voice of each person without it sounding trite (not easy to do when you have a small boy and a grown man to portray too) I love her Margaret Atwood readings for the same reasons. I found the book totally absorbing and very thought provoking and found my sympathies lay very firmly with Eva on so many levels. 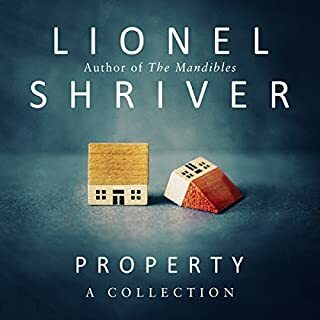 A bonus at the end of the book is a short interview with Lionel as she explains a little about why she wrote the book which was also fascinating and insightful. Excellent - download it now - I couldn't stop listening to it! Try it - worth a read!! Something I'd never normally go for, glad I did.